uPlay Q10s is a cost-down version of Q10 – the first white label 10.1 inch tablet with a HD 180 degree viewing angle IPS capacitive screen, powered by ARM A7 Quad-Core CPU with built-in 8 core PowerVR SGX GPU, and runs the latest Google Android 4.2 Jelly Bean – it's basically Google Nexus 10 with two third of the price. Other key features include 2K HDMI output, 0.3 MP front and 2 MP rear camera ( front and 5MP rear cameras also available for customized tablet order) with auto focus, OTG port to connect keyboard, mouse, and hard drive, bluetooth, and 6,000 mAh batter. The only downside of Q10s is the lack of GPS.the first white label 9.7 inch tablet with a retina 180 degree viewing angle IPS capacitive screen (same screen as the iPad 4), powered by ARM A7 Quad-Core CPU with built-in 8 core PowerVR SGX GPU, and runs the latest Google Android 4.2 Jelly Bean – it's basically “iPad 4″ running Android with half price. Other key features include 4K HDMI output, 0.3 MP front and 2 MP rear camera ( front and 5MP rear cameras also availabel for customized tablet order) with auto focus, OTG port to connect keyboard, mouse, and hard drive, bluetooth, and 6,000 mAh battery – the largest one seen on the market. The only downside of Q97 is the lack of GPS. 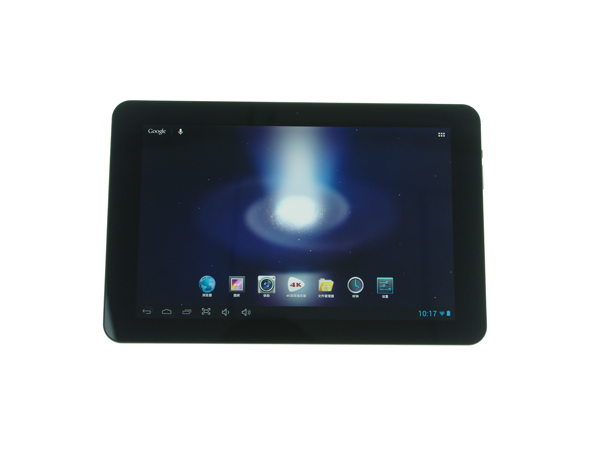 Categories: 10.1" tablets, Custom built tablets, Tablets with bluetooth, uPlay tablets, woPad tablets. Tags: 10.1" tablets, Android 4.2 Jelly Bean tablets, Bluetooth, Custom built tablets, IPS screen, OEM tablets, Quad-core, uPlay Q10s, uPlay tablets, white label tablets, woPad Q10s, woPad tablets. In stock . Ship from our factory in Shenzhen directly (not in our California warehouse). The shipping cost is $14.95 no matter where you are. uPlay Q10s is a cost-down version of Q10 – the first white label 10.1 inch tablet with a HD 180 degree viewing angle IPS capacitive screen , powered by ARM A7 Quad-Core CPU A31s (instead of A31) with built-in 8 core PowerVR SGX GPU, and runs the latest Google Android 4 .2 Jelly Bean – it’s basically Google Nexus 10 with two third of the price. Other key features include 2K HDMI output, 0.3 MP front and 2 MP rear camera ( front and 5MP rear cameras also available for customized tablet order) with auto focus, OTG port to connect keyboard , mouse, and hard drive, bluetooth , and 6,000 mAh batter. The only downside of Q10s is the lack of GPS. 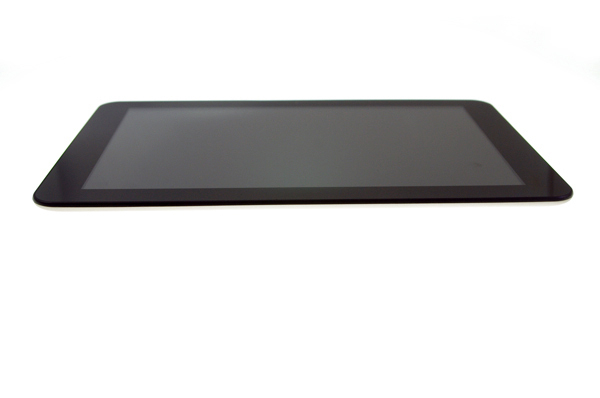 uPlay Q10s is one of the first Android 4 .2 tablets made by uPlay. Android 4.1 Jelly Bean is the latest Android operating system released by Google. Google used to make a catchup game with Apple on its early releases, but Android 4.1 is pretty much par with Apple iOS. The all new designed Google Android 4.1 has kept many good features from its previous release, and made the GUI with a better layout, more intuitive, more smooth transition, and virtualized all keys. You can even merge the file folder like in iOS, switch between multi-tasks, plus all new widget tools. Android 4.2 is an upgraded version and the latest version that has been used in Google Nexus 7 and Nexus 10. AllWinner A31s is the latest quad-core mobile application processor from AllWinner that implements the ARM Cortex-A7 CPU architecture and PowerVR SGX544 MP2 GPU. AllWinner A31 is the first two quad-core CPUs seen on Chinese made tablet . Its CPU is based on mainstream ARM Cortex-A7, the third generation of ARM Cortex CPU. The GPU is eight-core PowerVR SGX544. AllWinner A31 is made with 40nm process technology, which is about 2X faster and consumes about 1/2 power than other CPUs made by 65nm process technology. The performance of this quad-core CPU is actually faster than the CPU the quad-core CPU used in Apple iPad 4. Comparing with Cortex A8, ARM Cortex-A7 only consume 20% of power, but offer 50% improvement on performance. So far, AllWinner A31 is the first Cortex-A7 based CPU, even nVidia and Samsung haven’t licensed Cortex A7 in their CPU yet. AllWinner announced A31s at Mobile World Congress 2013. A31s is basically a cost-down version of A31. Compared to AllWinner A31, A31s supports 2160p video decoding, which is pretty good already (A31 supports 4kx2k), 1280×800 resolution for screens (A31 supports retina display ), and 1080p HDMI output. A31 camera sensor can support between 5 to 8 MP, but A31 can support lower resolution (0.3M) for front camera, to a maximum of 5MP. The PMIC is called AXP221s vs AXP221 for A31. The rest of the specifications are the same. A31s supports both Android 4.1/4.2 and “Windows 8″. So overall if you don’t need retina display , choosing A31 is the right decision, since it’s cheaper and also consume less battery, so your tablet runs longer. The screen used in uPlay Q10s is a 10.1” high resolution 1280×800 IPS screen . The view angle is almost 180 degree. Colors get a boost, too, with color saturation that’s 44 percent greater than normal screen. So with UPlay Customized Tablet (white label) Q10s, the games you play, the words you read, the images you see, and the apps you love look and feel incredibly vivid and lifelike. For big-time entertainment, UPlay Customized Tablet (white label) Q10s lets you watch widescreen HD video in all its glory — without letterboxing. UPlay Customized Tablet (white label) Q10s has 1GB DDR3 RAM built-in– It has 64 bit two channels. The speed is 50% faster than single channel DDR3 RAM. This allows for numerous tasks and apps to be run at the same time with no loss in speed or responsiveness in the tablet. Furthermore this allows data to be processed faster, meaning 3D games run better than ever! Perfect to match the Retina display . Google Market is pre-installed on Q10s. You can access and download more than 400,000 apps directly from your tablet. The latest version (v11.2) of FLASH player is pre-installed on Q10s. You can watch YouTube and other flash-based Internet video sites directly in the browser. 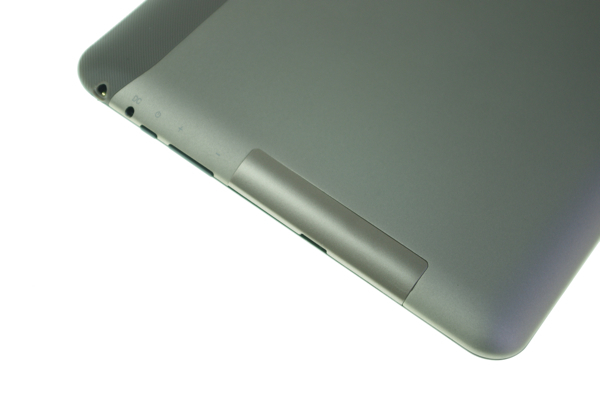 UPlay Customized Tablet (white label) Q10s has two built-in cameras. The rear camera is 5MP – now people won’t laugh you when you use your tablet to take pictures. 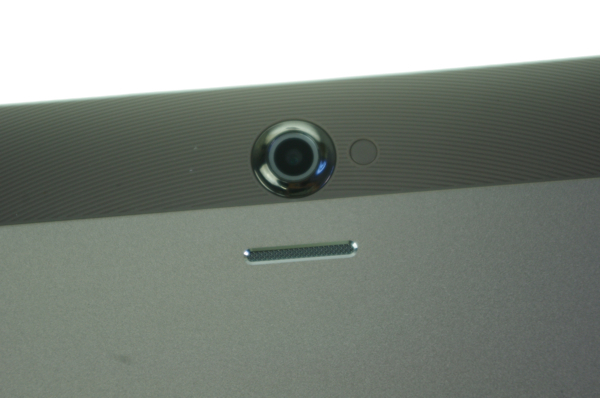 The front camera is 2MP HD, so you can do video chat with your friends and family in HD! Supports 2k super HD , and all other HD formats. Q10s can automatically recognize HD TV connection, and output video signal to TV. It displays on both tablet and TV for all operations. When HD video is playing, the tablet screen will be off. Enclosure – The case for the UPlay Customized Tablet (white label) Q10s has been uniquely designed, makes it a pleasure to be hold in your hands. 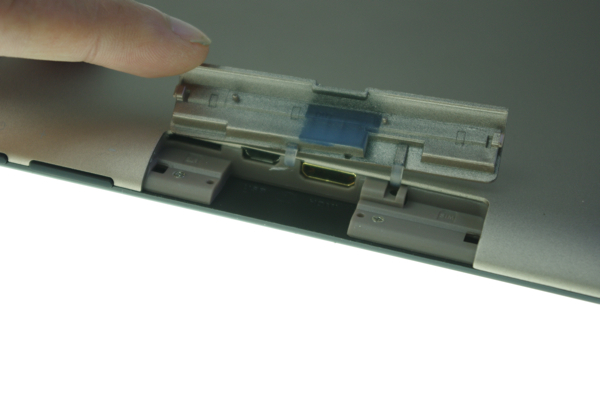 The body is ultra-thin metal case , only 9.9mm. AXP 221 smart power management chip dynamically adjust the power, plus the huge 6,000 mAh battery – the largest one never seen in tablet, you can enjoy 8 hours non-stop web surfing time and super long the standby time. UPlay Customized Tablet (white label) Q10s supports WiFi standard 802.1 b/g/n, and also support external 3G dongles (see supported 3G dongle list at the end for more details). 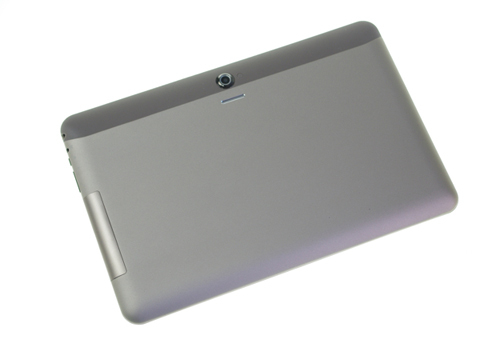 Model with buit-in 3G is also available for customized tablet orders. Nice metal case, quite fast with the quad-core. minor app compatibility issues. Overall, it’s a good buy.